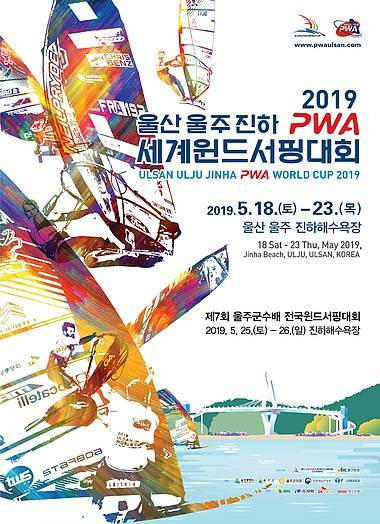 Ulsan, a metropolitan city in the south-east of South Korea, is a magnet for Asian windsurfers who visit it for its beach scene, and quality windsurfing conditions. Thirty minutes drive from Ulsan City itself, in Ulju County, sits the quiet town of JinHa. The months of May and June hold a pleasant surprise for windsurfers ~ strong and regular cross shore winds. JinHa beach is ranked by many as the top windsurfing spot in the country. - You can view the full list of the sailors registered equipment here.